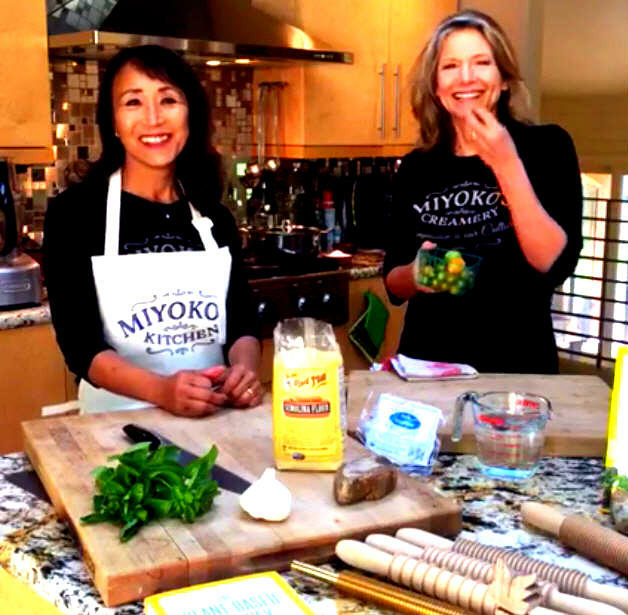 Every time I have the deliciously fun opportunity to shadow Miyoko Schinner in her kitchen, I learn so much! 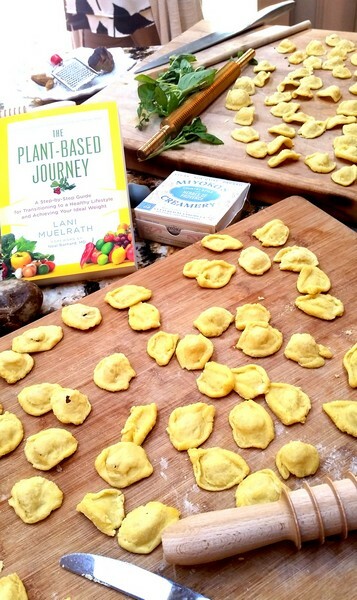 This week I was her guest on Miyoko’s Kitchen facebook LIVE where I learned how to make orecchiette pasta, talk about The Plant-Based Journey, mindful living, expectations around being “perfect” at living plant-based vegan, how to look at it all in a new light, and mindfulness opens the door to new perspectives and levels of happiness and peace and joy around food. I’ve never, ever made pasta before and I had a rusty start, but caught on after awhile and we had so much fun. The video is a full fifty-three minutes, but if you want to hear more “real people” conversation, sit back, tune in, and enjoy. 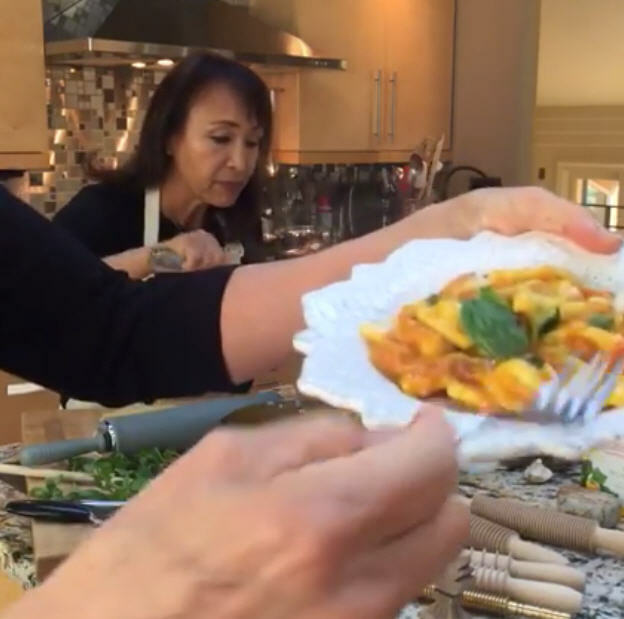 You’ll learn more about making pasta anda wonderful tomato sauce (I had previously picked three baskets of sweet cherry tomatoes from Miyoko’s home garden). 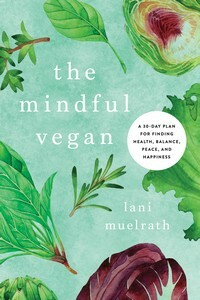 At about minute twenty-five, we launch into an engaging conversation about the stress we place on ourselves, mindfulness, and what comprises a truly happy vegan life. Above, forming the pasta – orecchiette is Italian for “little ear” – and you can see why. 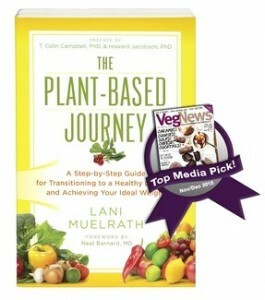 We also gave away a copy of The Plant-Based Journey, winner randomly selected from one of the viewers. 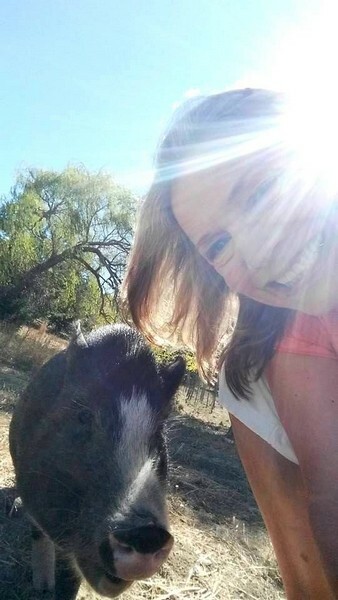 Pre-production selfie with Onyx, one of the adorable and arresting rescue animals on Miyoko’s animal sanctuary, Rancho Compasion. Ta da! Pasta orecchiette, close up. 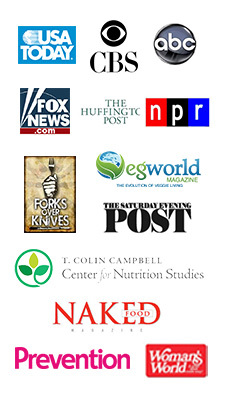 Have you ever made pasta, or have you a favorite pasta or vegan pasta sauce you’d like to share or tell me about? Please share about it in comments below. I’m not ambitious enough to make my own pasta (although I might try this recipe some day! ), but my favorite pasta dish is one my 20-year-old son came up with, cooking vegetables in a peanut butter based sauce (sort of like a stir fry) and then tossing with pasta. Yum! I’ll take peanut butter in anything. Admittedly I have no doubt it would be good in pasta as well. Your son sounds like a brilliantly creative cook!